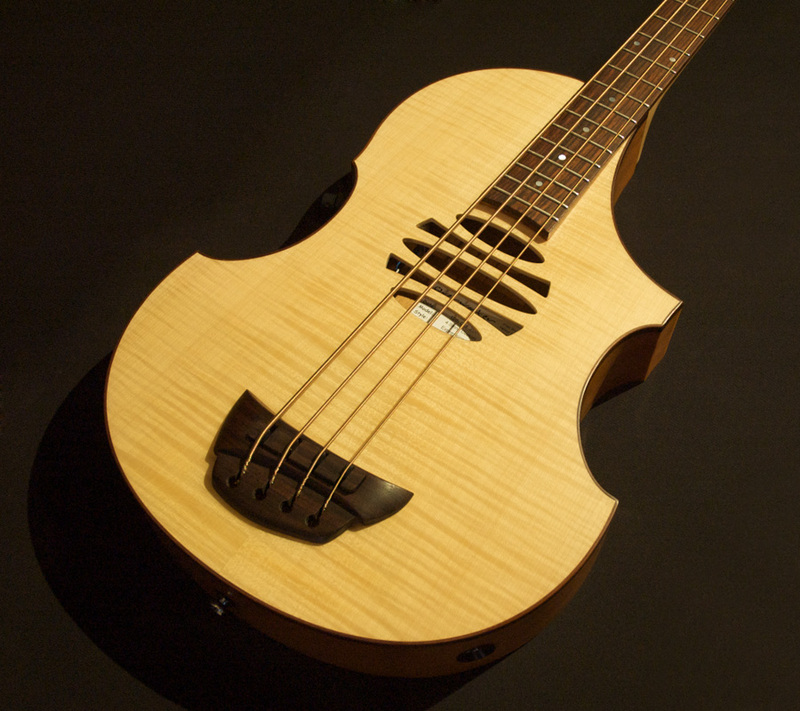 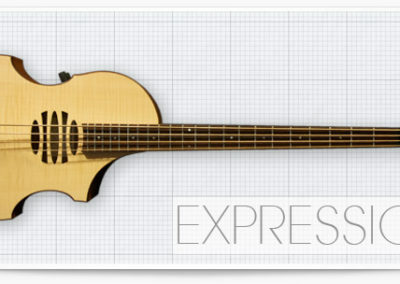 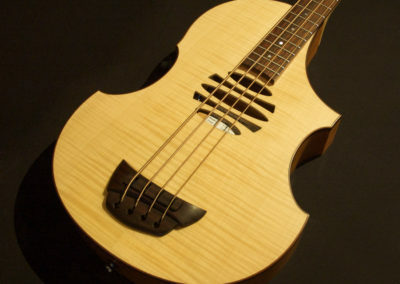 The Expression semi-acoustic bass is built with a solid Spruce or Maple top, bound 3” deep hollow Walnut body. 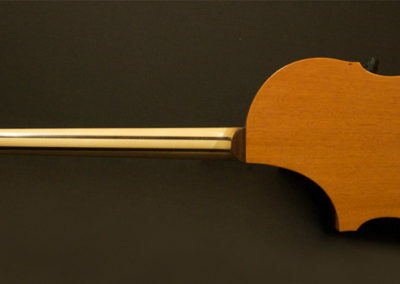 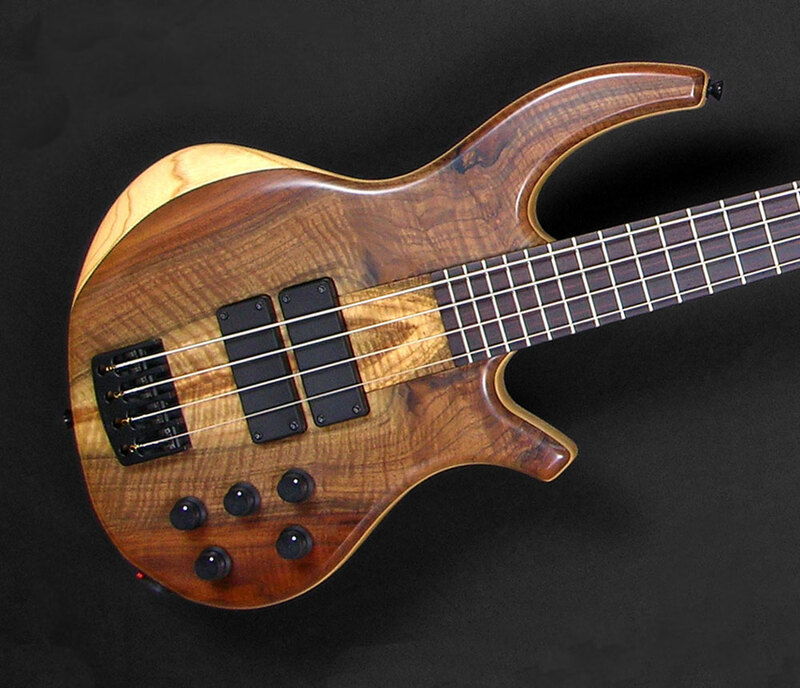 A Maple/walnut neck compliments the body wood, with a Maple/Mahogany neck option also available, subject to sound requirements and number of strings. 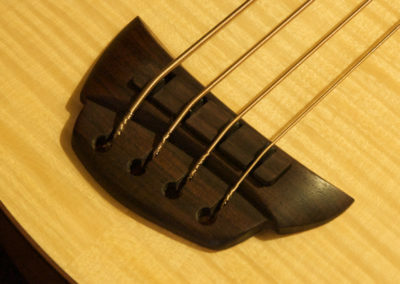 The fingerboard is 14 frets to the body with access up to 22. 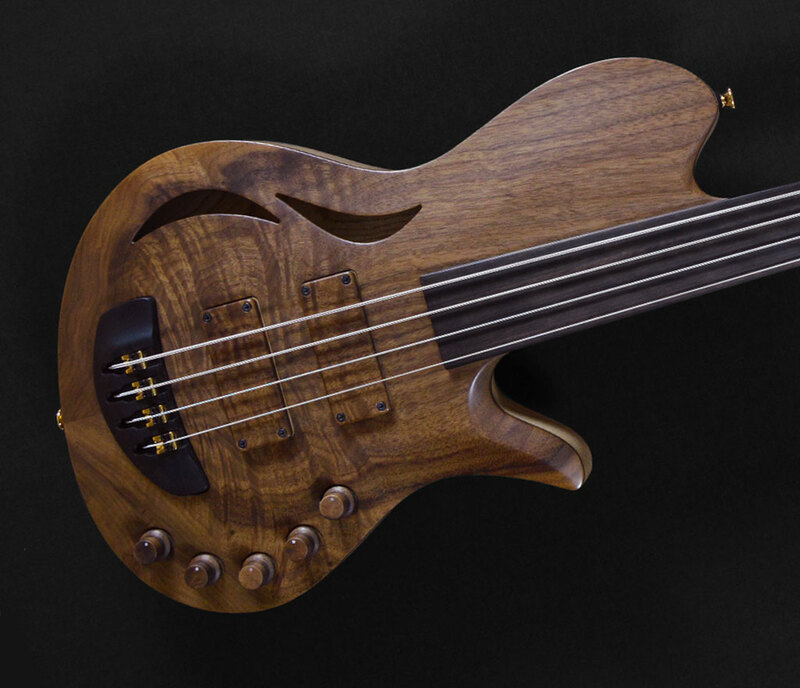 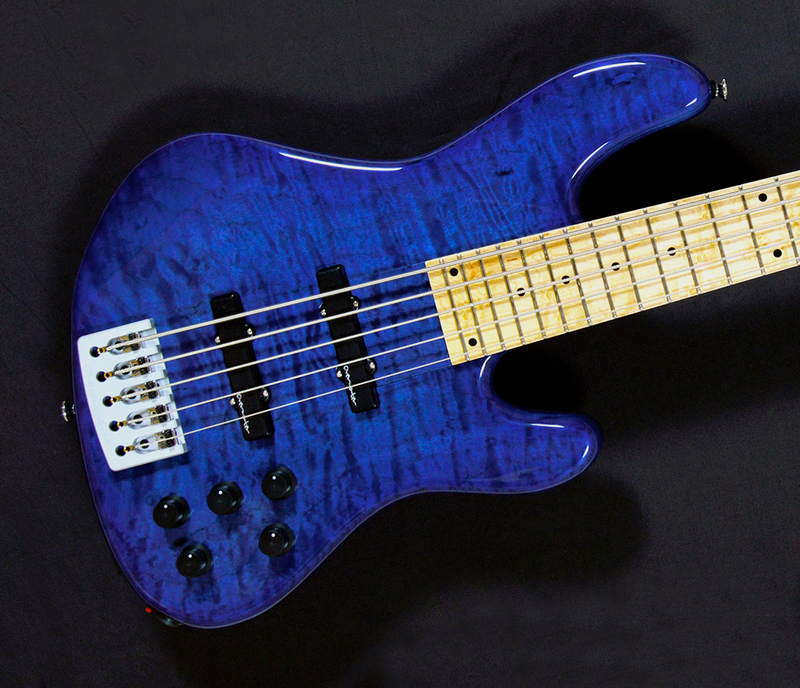 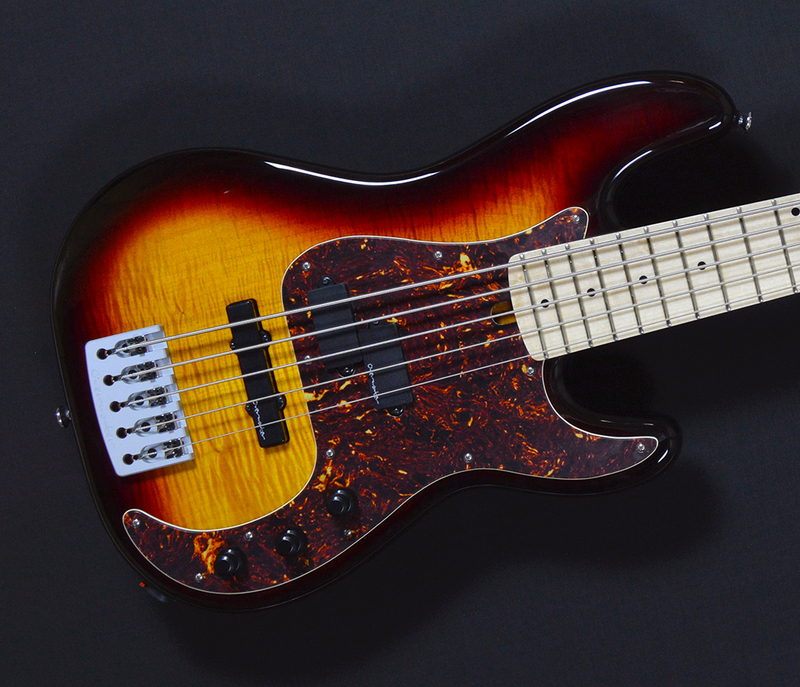 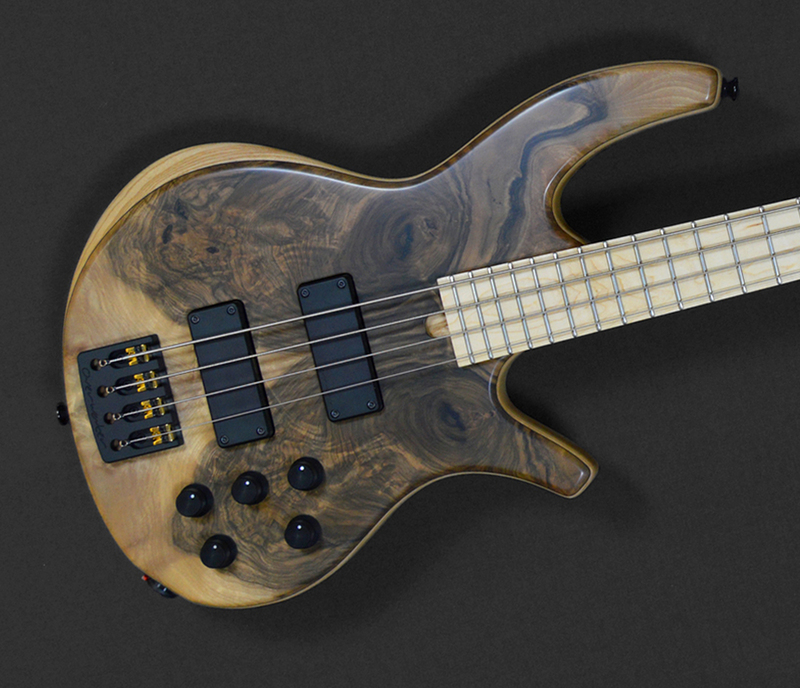 This unique bass features our original design hardwood bridge, featuring individual saddle adjustment and incorporating a custom Headway piezo pickup and Overwater/John East design pre-amp. 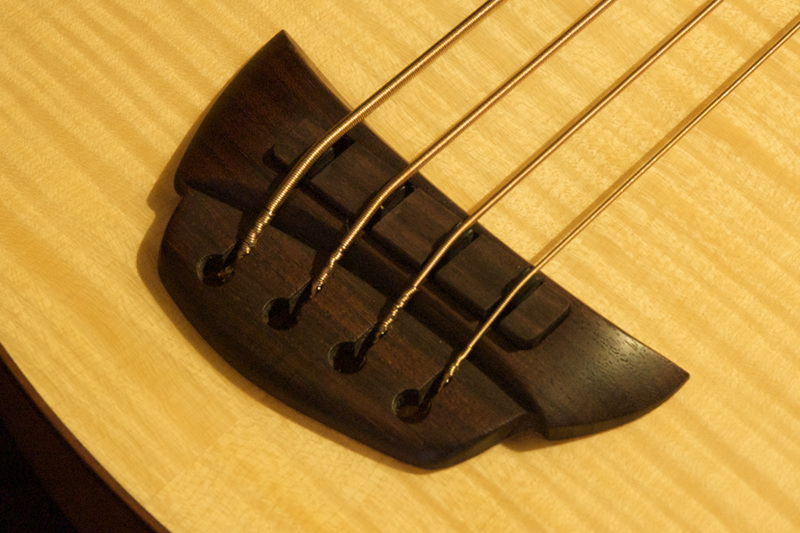 Available in 4, 5 and 6 string formats, fretted and fretless.